Homicides and organ harvesting: A pattern and practice, but is it ethical? Several years ago I raised a question in this column about the patterns and practices of organ harvesting of African Americans. Too many know too little about surgically procuring organs and tissues for re-use in another body. Although legal and heavily regulated, it is still seriously debated. The column we wrote was about a young man named Johnson, shot and killed just off the corner of 29th and Lyndale Avenue, in North Minneapolis. A couple of weeks later, another African American was shot and killed off of Sheridan and Clemons, also in North Minneapolis. At the time of the shootings, Mr. Estes, the founder and owner of Estes Funeral Home, was still living. He was ethical, had a social conscience, and if asked if a loved one’s organs were harvested he could be trusted to affirm whether or not they were. Although a difficult topic to discuss, it touches our sensitivities for those who have passed from this life. This is an important topic for our community because of the peculiar patterns and practices in the deaths of many young African Americans across the country: a shot to the head that doesn’t damage other organs, such as the one that took the life of a 32-year-old African American at 31st and Penn, August 7. The medical and insurance industries follow specific harvest criteria set by the United Network for Organ Sharing, part of a national registry of organ donors. Policies governed by profit without the restraint of passion and ethics, create many problems when people brush aside moral and ethical questions about organ harvesting. I come from a medical family. My grandfather, L. Virgil Miller, M.D., practiced medicine for 62 years. As a young man, I was privileged to hear my grandfather and his medical doctor associates discuss ethical and unethical practices in medicine, particularly those directed at the least of our citizens, whether by race, economic standing or both. Since the 1950s, the prices of organs have skyrocketed, with fees today, depending on the organ, fetching from a couple thousand to nearly a million dollars. Because of the details in the death of a young African American two Sundays ago, we feel compelled to once again raise the question of patterns and practices of medicine as they relate to the morality and ethics of organ harvesting, a serious issue requiring the closest, possible review and investigation. The African American community must seek answers to the question of who we are, as organ harvests make us targets of this policy, a policy as devious as the ones used by the U.S. government to experiment on African Americans in the 1930s, when African Americans were purposefully infected in experiments of syphilis and other infectious transmittable diseases. There are far too many mysterious shootings taking place in this country, especially so-called clean shootings, in which the only fatal wound is a shot to the head, leaving vital organs unaffected and eligible for harvesting. In the most recent scenario, a young man’s legal guardians were delayed in their arrival in Minnesota, having to come from Missouri. A medical and legal determination was made to keep the braindead person alive. It will be interesting to see what documents exist that authorized the man killed at 35th and Penn to have his organs extracted from his body. Only the coroner and medical examiner see the body without clothes. Family members and friends at a viewing can’t tell. African Americans are the targets of a policy very dangerous for us but extremely lucrative financially for the people who make the policy but care little about the consequences of the policy being implemented. I hope you write more about this, especially the details of the laws and how this young man and others like him are kept on life support. I am ignorant of facts and chilled by the prospect that this is happening. Please write more. 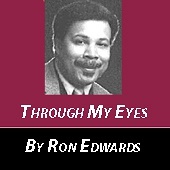 I read with interest and sadness your column regarding organ harvesting of African Americans. As you know, organ harvesting is a highly lucrative business and one that the “brain dead” diagnosis serves well. My recommendation is that everyone over the age of 18 have a Protective Medical Decisions Document (MUCH better than a living will) and carry a donor refusal card on his or her person. Your healthcare agent (someone you’ve named and trust) will then be able to protect you from being killed for your organs. If you want to be an organ donor after you are truly dead and not just declared “brain dead”, you can still do so. Please see https://www.humanlife.org/product/informed/ for additional information. Also, you can go to prolifehealthcare.org and click on organ donation. If you would like to speak with someone from our office, we can be reached at Human Life Alliance, 651 484 1040 or http://www.humanlife.org. Thank you for bringing this important issue to the attention of many.